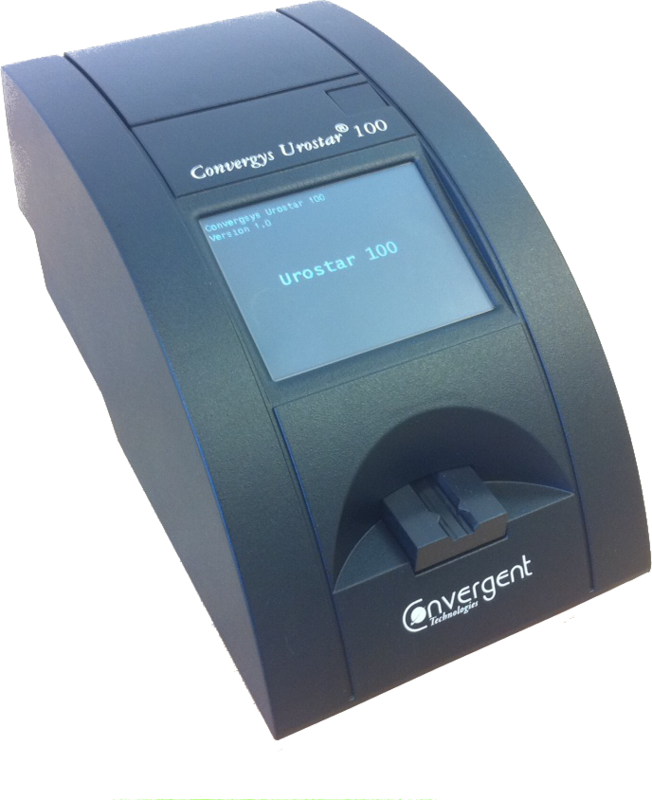 The Convergys® Urostar 100 with the “flex-time” feature is a creative and versatile urinalysis solution for a small to medium-size laboratory, a physician’s practice, a mobile ambulance and a Point of Care (POC) application as well. Automatic calibration at every start and the input of a six-digit calibration code for the CM-test strips. Special control strips are provided to perform quality control measurements of the optical system. Calibration: Automatic calibration at every start and the input of a six-digit calibration code for the CM-test strips. Special control strips are provided to perform quality control measurements of the optical system.